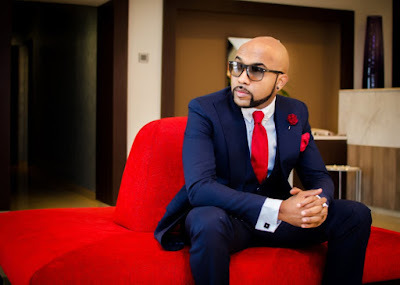 Banky W took to his IG page to narrate his ordeal and how he’s grateful to be alive as he’s unharmed and escaped.. So there’s good news and bad news. The good news is… I’m thanking God that I’m alive to give the bad news as a testimony. I was laying awake in bed at about 6am , and I just started smelling smoke. Stood up to shut off my tv and ac and realized it was coming from outside my door. 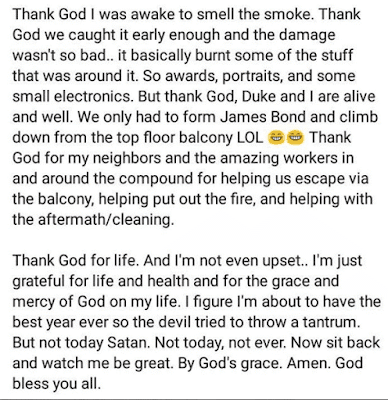 Opened it to see the whole stairway was filled with huge gusts of black smoke/soot, and a fire was burning stuff downstairs. The smoke was so much I couldn’t get down past it to see the source of the flames. 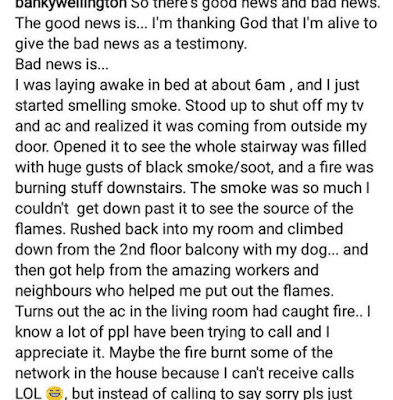 Rushed back into my room and climbed down from the 2nd floor balcony with my dog… and then got help from the amazing workers and neighbours who helped me put out the flames. Turns out the ac in the living room had caught fire.. I know a lot of ppl have been trying to call and I appreciate it. Maybe the fire burnt some of the network in the house because I can’t receive calls LOL , but instead of calling to say sorry pls just maybe say a prayer and thank God with me. 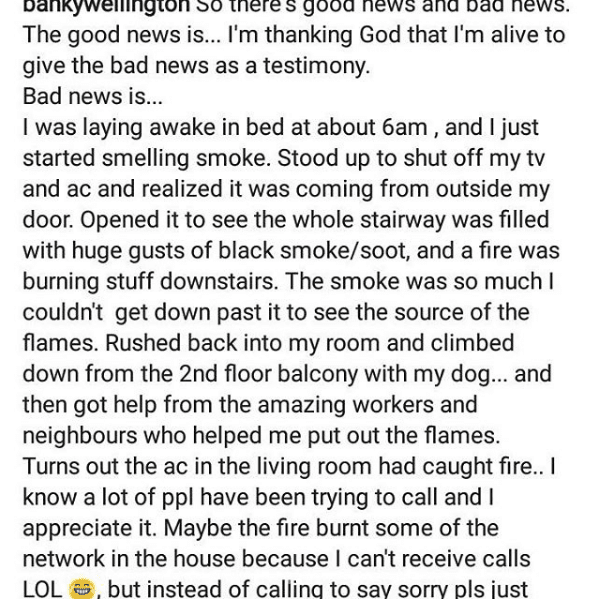 Thank God I was awake to smell the smoke. 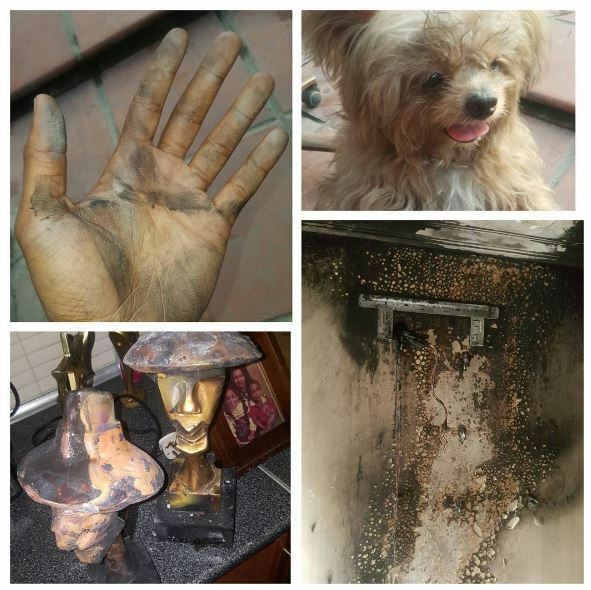 Thank God we caught it early enough and the damage wasn’t so bad.. it basically burnt some of the stuff that was around it. So awards, portraits, and some small electronics. But thank God, Duke and I are alive and well. 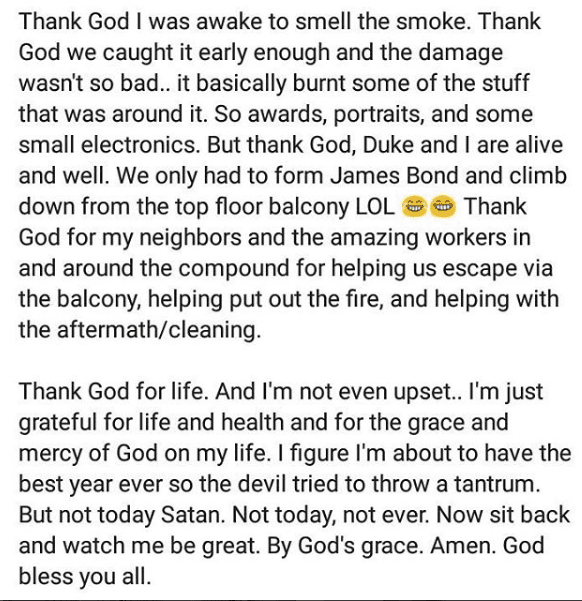 We only had to form James Bond and climb down from the top floor balcony LOL Thank God for my neighbors and the amazing workers in and around the compound for helping us escape via the balcony, helping put out the fire, and helping with the aftermath/cleaning. Thank God for life. And I’m not even upset..
I’m just grateful for life and health and for the grace and mercy of God on my life. I figure I’m about to have the best year ever so the devil tried to throw a tantrum. But not today Satan. Not today, not ever. Now sit back and watch me be great. By God’s grace. Amen. God bless you all.